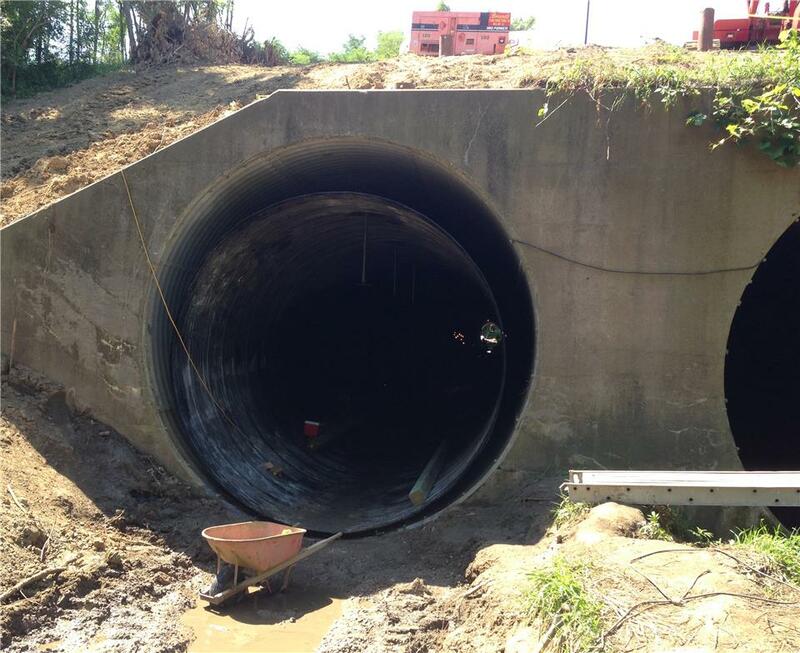 The Illinois Department of Transportation (IDOT) determined that the rehabilitation of twin, 168-inch diameter culverts under a peak of nearly 50-feet of fill located west at the interchange of I-74 and I-80 in Moline, Illinois was necessary. 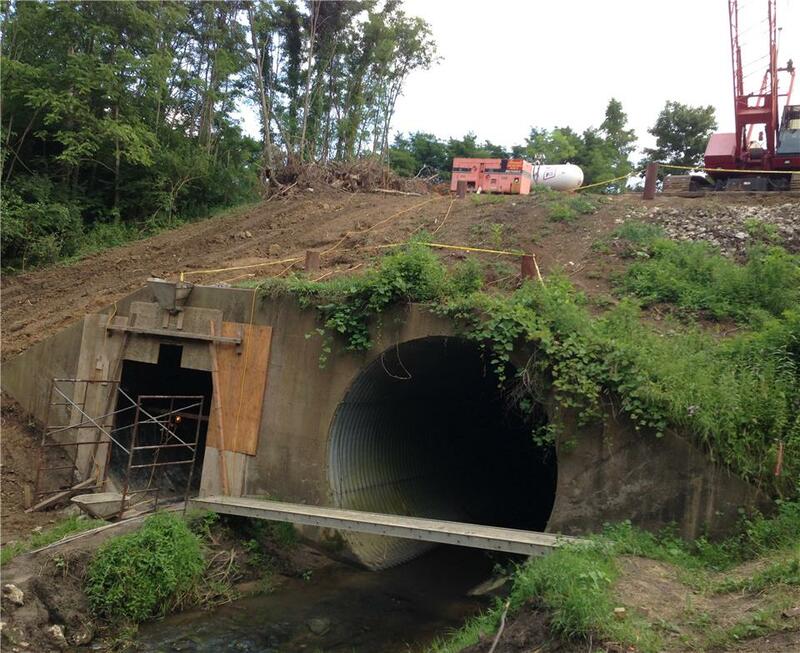 The twin culverts had been patched previously, but further repair would not provide the structural performance that was now needed for the deteriorating culvert through which Mud Creek is conveyed. Rather than completely replace the structure which would be both costly and time-consuming, the IDOT decided that a reline of the existing structure would be preferable and released a state letting opportunity. The challenge for the design engineer was to find a smooth wall reline pipe that could meet the current AASHTO 2012 LRFD Bridge Design Specification Section 12 criteria design loading under heavy fill. The solution also needed to meet IDOT section 543.02 which specified a double walled pipe with hot-dip galvanized, steel coils per AASHTO M218. Ultimately, the IDOT selected a proposal by WBK Associates LTD which utilized a 144-inch diameter polymer-coated Smooth Cor™ pipe supplied by Contech Engineered Solutions. 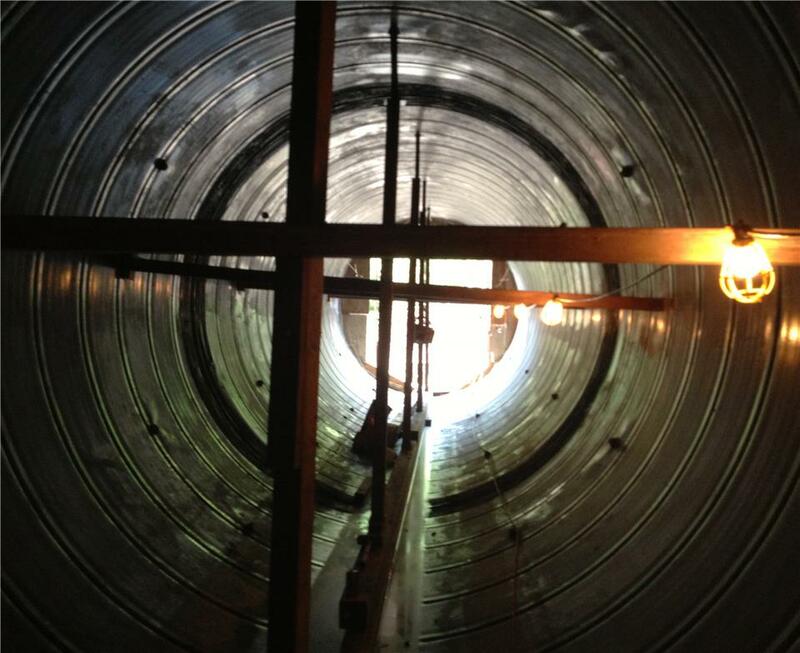 Smooth Cor’s double walled steel pipe with a polymer-coated, 18 gage, smooth interior steel liner and 12 gage, rugged 3x1 corrugated outer steel shell were able to satisfy the AASHTO specification as well as the IDOT section 543.02 requirements. Not only that, but the smooth interior liner would provide a Manning’s “n” of 0.012 exactly as specified for the expected hydraulic flow capacity. 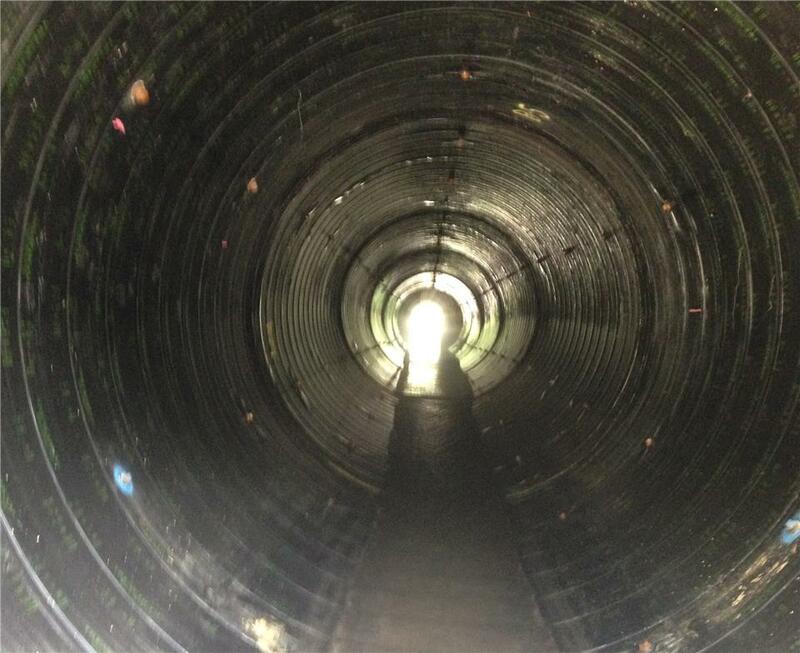 The Engineer worked directly with Contech to ensure the pipe would meet the original design criteria established. Contech provided all the necessary detail, and both the product and the installation were deemed a complete success - with an Illinois structural stamp accompanying the final design. The contractor, Brandt Construction Co., was very happy with the light weight and beam strength of the Smooth Cor pipe. Not only did the skid rails make it easy to slip line into the existing culvert, but the 30-foot lengths required fewer joints and the 10-foot incremental port insertions made grouting the structure quick and easy. The busy interstate above remained open throughout the entire installation with no disruption to the local traffic, and the IDOT was extremely pleased with the end result. The total installation of 360’ (2 runs at 180’ each) took around 3 working week days resulting in a project that completely satisfied the structural and regulatory requirements while also providing the necessary hydraulic function. Smooth Cor™ 360 LF of 144” dia.